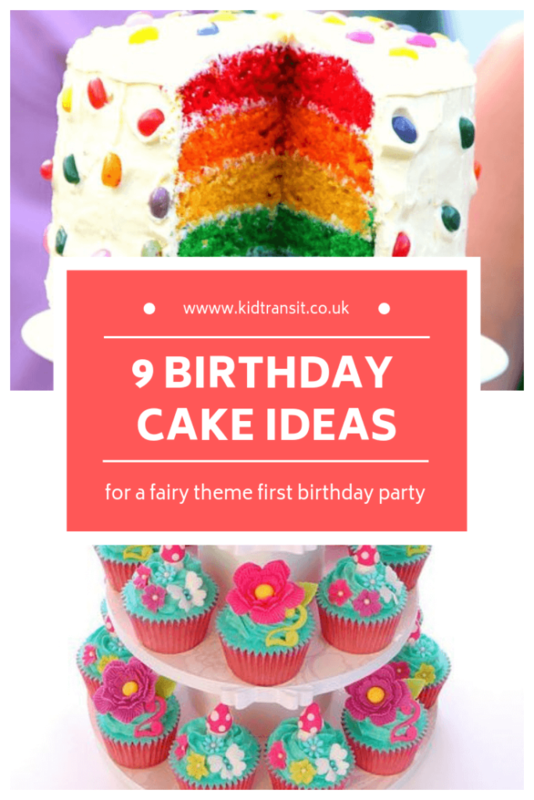 For many, it’s a little one’s dream to have a magical fairy party to celebrate their birthday. The star of the show is the cake – a centrepiece of the special day and totally scrummy. 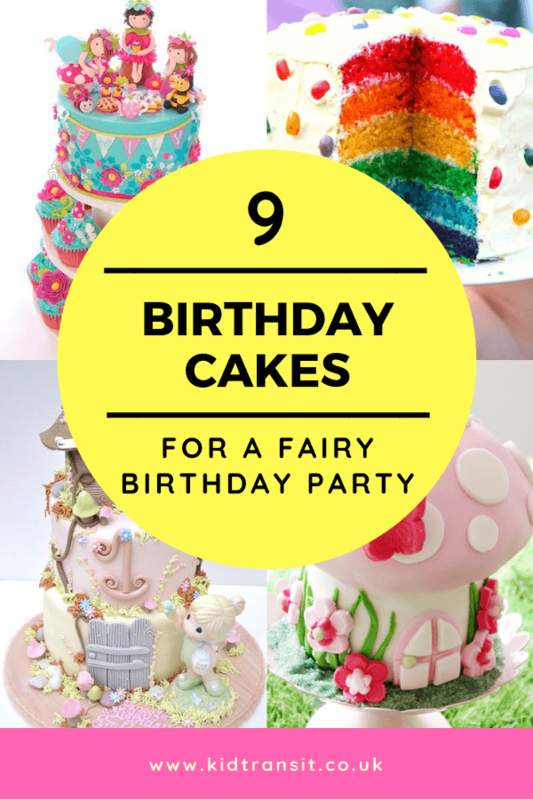 We’ve rounded up some delicious fairy-themed first birthday cakes to give you inspiration. 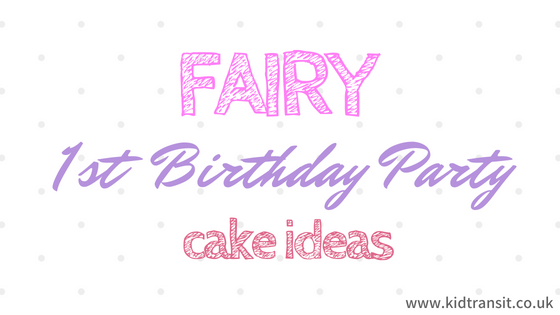 If a fairy first birthday party isn’t the theme for you, make sure you check out all these other first birthday party themes to find one that fits. 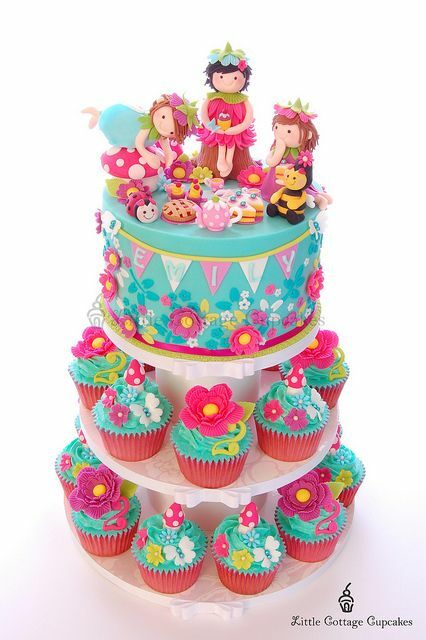 Why not go all-out and with this fabulous three-tier cupcake creation? Covered with fondant flowers, butterflies, and bugs, this cake is absolutely stunning. 12 X PRE CUT BEAUTIFUL PINK FLOWERS CUPCAKE TOPPERS measuring approx. 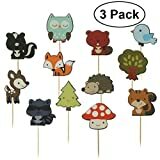 3 cm in diameter. We love this beautiful two-tiered cake. With minimal, yet effective, decoration the bake resembles the ruffles on a pink fairy dress. 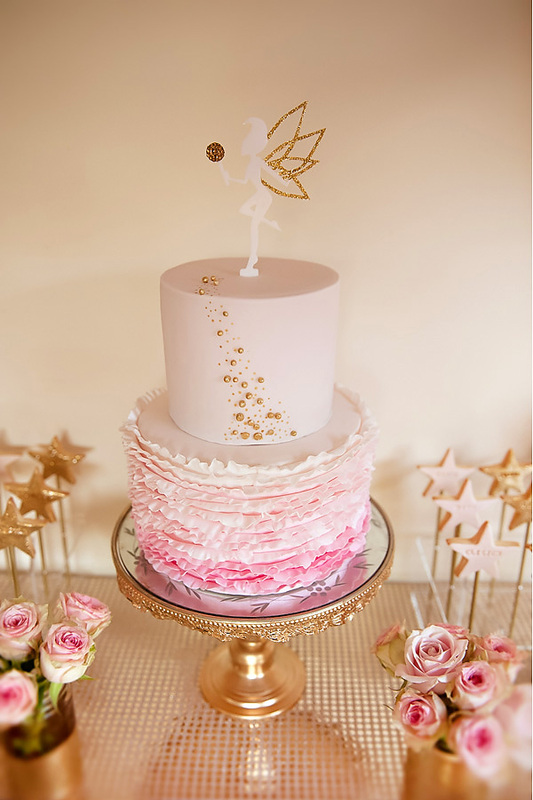 Topped with a magical fairy figurine and a sprinkling of fairy dust, this cake is bound to add a touch of magic to any table. 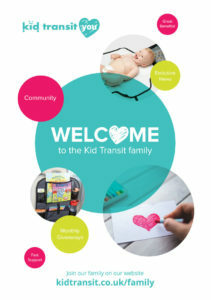 Source: Hostess With the Mostess. 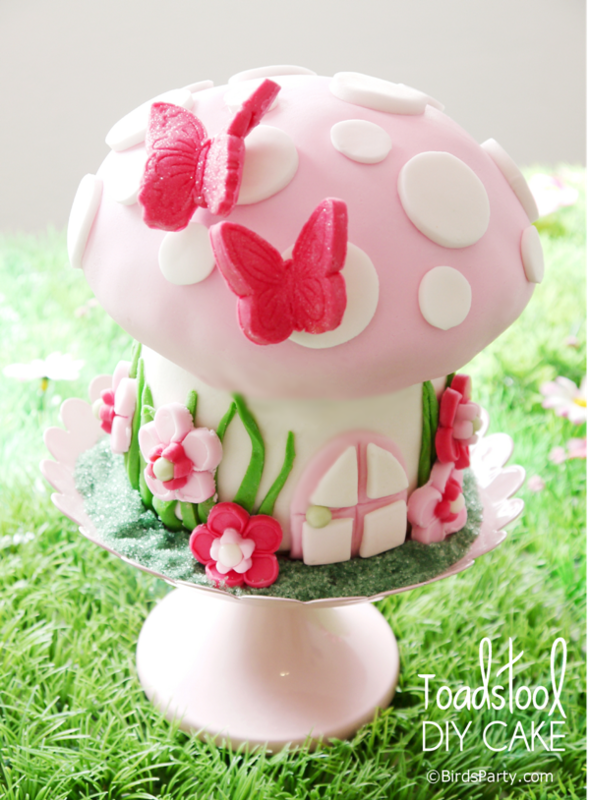 This fabulous toadstool house comes complete with fondant icing fairy – totally adorable! 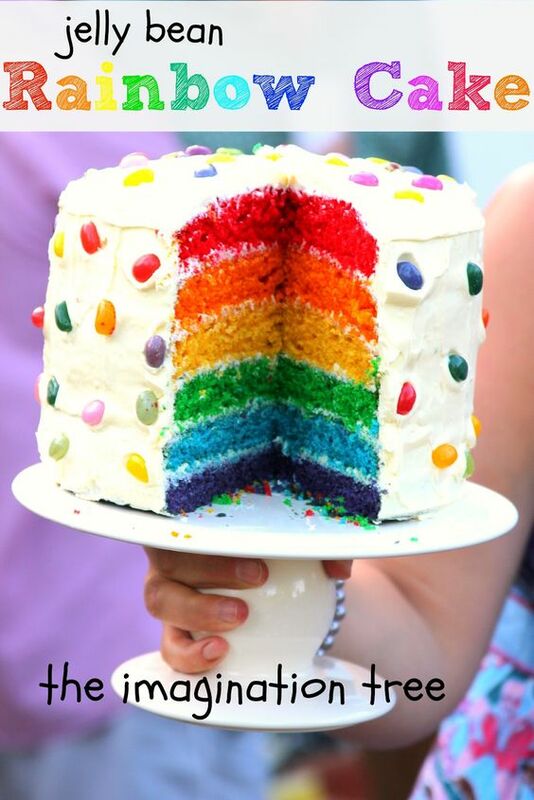 Full step-by-step instructions on how to recreate this bake can be found below. These incredible toadstool cupcakes are really fun and easy to conjure up. Using plain cupcakes, cover with red icing and white chocolate buttons to resemble toadstools. 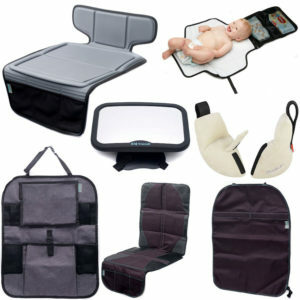 Adoption of high quality paper, it is safe and non-toxic. 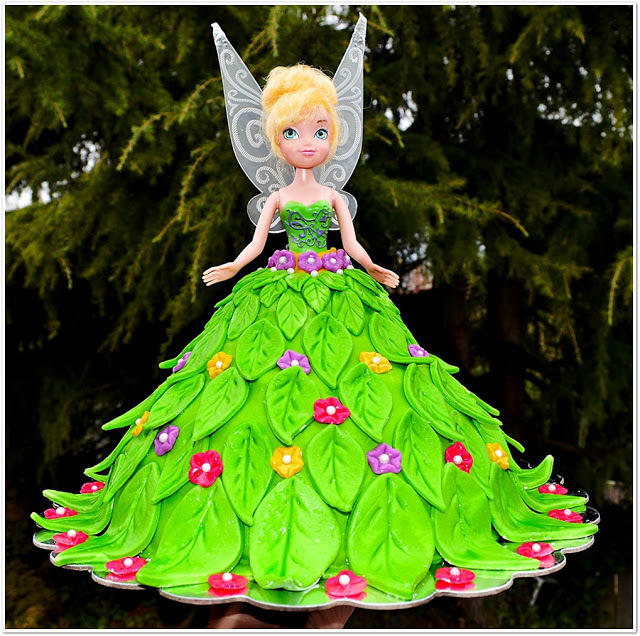 Here’s another magnificent bake boasting a fairy-doll covered in fondant icing, with a gigantic leaf hoop skirt. 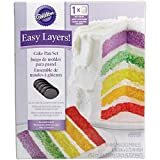 If you’re an expert baker, you could create this incredible cake yourself with these instructions. 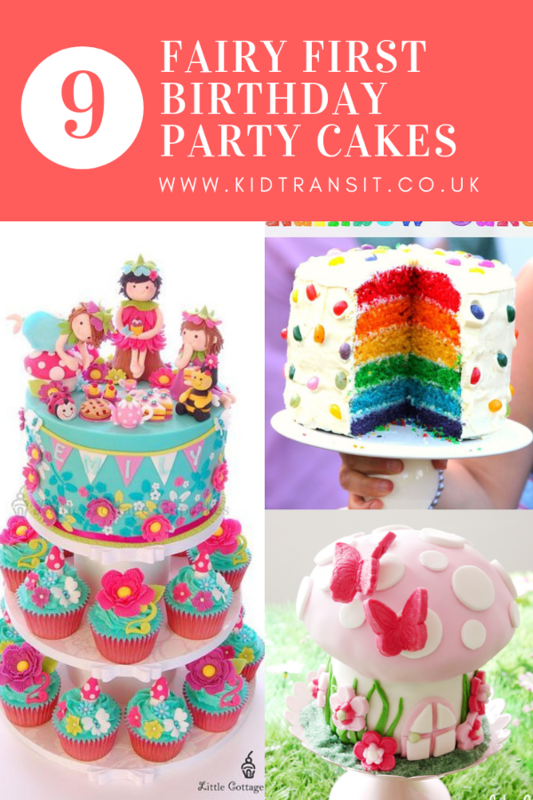 This creation is made by layering six different coloured sponge cakes sandwiched between buttercream and covered in a frosted outer layer then adorned with fairies, toadstools, and flowers. Perhaps one for the professional, this truly unique, three-tiered confection featuring a cascading waterfall. 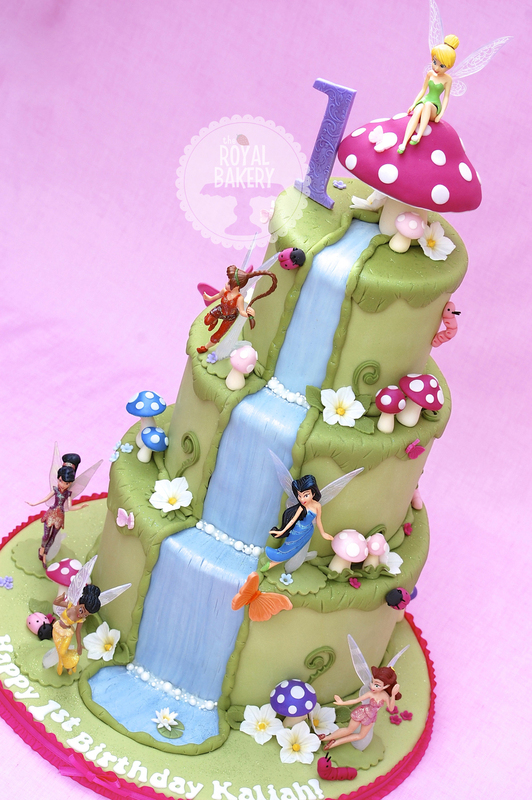 Mainly covered in green icing to resemble grass and adorned with lots of tiny fairies, toadstools, and flowers – simply delightful. 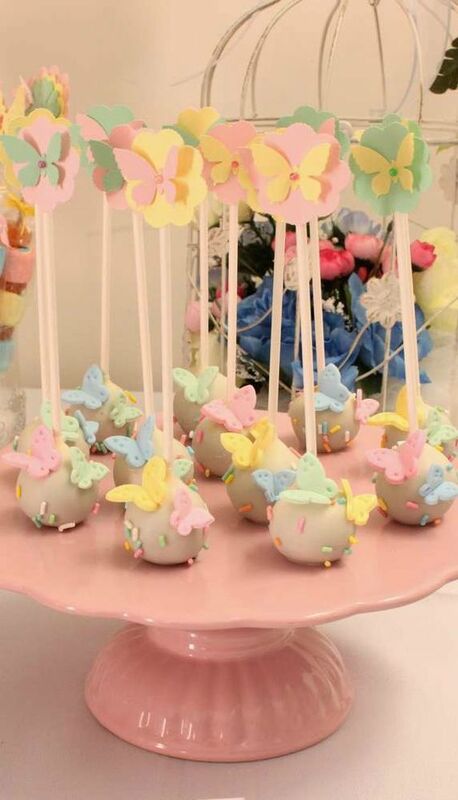 We love a cake pop, not only are they a great alternative to a larger traditional cake, they also save cake-cutting time during the party! These sparkly fairy wands fit the theme perfectly. 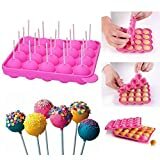 FOOD GRADE SILICONE: Lollipop molds are made of premium food grade silicone material, which means security and environmental protection, the design conforms with the food safety standard. 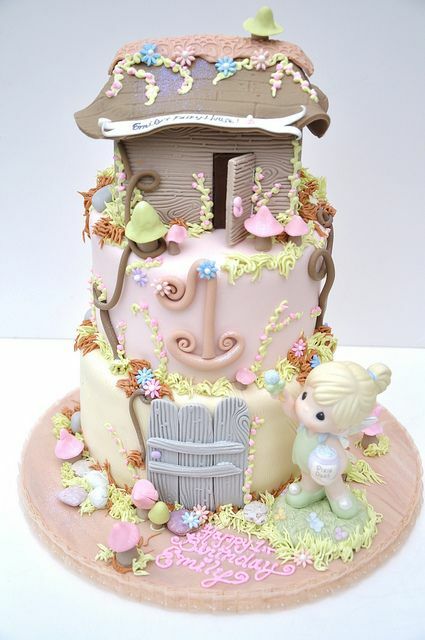 Lastly, we thought we’d include this beautiful three-tier fairy house birthday cake that has its own gate, tiny mushrooms and delicate floral detailing.